Exodus Nine Is On The Way. 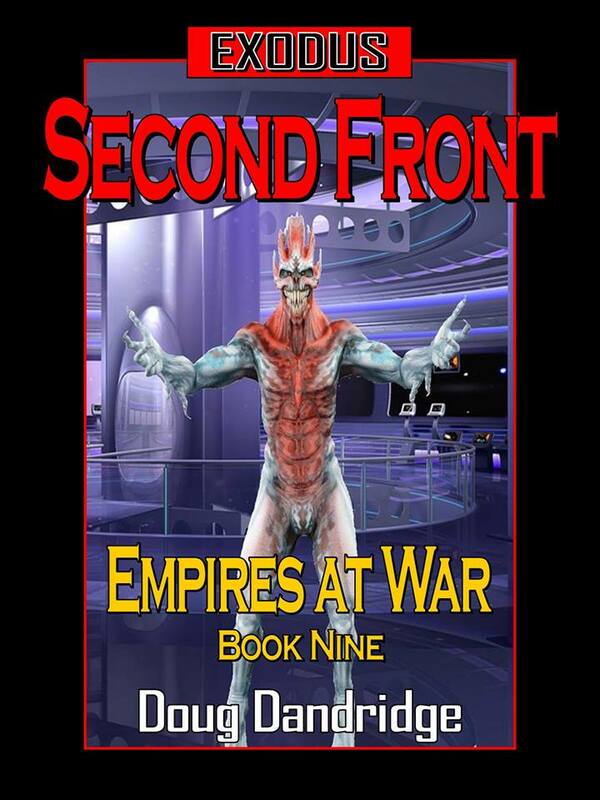 Exodus: Empires at War: Book 9: Second Front will be coming out in a couple of days. As the title says, this book is about the war going on at the other front of the Ca’cadasan Empire. A human expedition of three specialized ships have been sent across the more than thirty thousand light years, a year’s travel at hyper VII. The Empire is looking for another ally, and what better prospect than one who was already at war with their mutual enemy. They finally get there, and find that what they were hoping would be friends had a dark secret. At the same time, the Ca’cadasan fleet that had been heading into New Moscow in Book 8 has arrived, and the Empire has another fight on its hands. The Empire turns to unlikely allies to defeat their foes, and try to forge a far alliance despite the problems. This book has more politics and intrigue than most in the series, but still has plenty of action, both ground and space, with the emphasis on the space. Next up will be Exodus Machine Wars: Book 2: Bolthole. And now for an excerpt. “My, Lord,” said the bowing officer, his upper hands grasping the base of his horns while his lower arms crossed over his chest in an aspect of absolute obeisance. Great Admiral the Superior Lord Jarrashinata Karzott glared down at the officer as if he were looking down on the vermin of his home world. While the male was giving the proper display of respect to one of his stature, with the double advantage of supreme military and civil rank, being as he was a cousin to the Emperor, there was something about the aspect of the Cacada he did not like. More than just the general fear of a subordinate reporting to the exalted presence of his supreme commander. The fear of someone who was afraid that the news he was about to bring would cause him great pain, or even death. The male glanced up at the Great Admiral as if he wasn’t quite sure to make of the words. After all, the last commander was quick to punish anyone who brought news he didn’t want to hear. Which was why on occasions important facts were withheld from him. “The Klavarta have taken the H’lada system, my Lord,” blurted out the male, as if giving the information quickly might mitigate the response. “When?” growled the Great Admiral, thinking of what little he knew about that system. It was one of the linchpins of his defensive front, and a major staging area for launching forces into the flank of the enemy Empire. It contained shipyards, depots, even rest and recreation facilities for his forces. And it was fifty light years behind what he had assumed were the lines, safe from enemy attack. But now it seemed not safe enough. So, about fourteen hundred light years, thought the Great Admiral, looking away from the male and ordering the chamber holo to show him his command area with a thought. The Front stretched almost four thousand light years from rimward to coreward, and over two thousand from the top to the bottom of the galactic disc. Essentially, there was no way to blockade that much space. The only possible defense was to have scattered strong points, systems with heavy defenses and a strong fleet presence. And to patrol the regions in between. The Great Admiral turned and stomped away, trying to calm himself down before he actually hurt the messenger, something he didn’t want to do, lest others be afraid to give him information he was sure not to like. They are like vermin, he thought of the Klavarta. They reproduced at an unbelievable rate, and unlike most vermin they carried a fearsome sting. 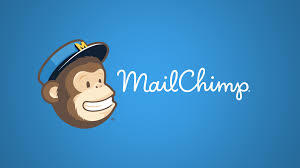 How in the hell did we get ourselves in such a situation, thought the Great Admiral, plopping down in his chair and gesturing for the messenger to leave, then motioned for one of his serving slaves, a moderate sized radially symmetrical mammalian, to bring him a drink. He ran over the situation in his mind, recalling the reports he had read, the videos he had watched. The Empire had been expanding in this direction, down the Sagittarian arm, as they always had, overrunning other civilizations with a battle or two, then taking them into the Empire. When they met another expanding species, always still in the early stages of their growth as a power, it took some more battles, but in no instance had the fight lasted longer than two or three years. The Ca’cadasan Empire was fulfilling its destiny, and it looked like in two or three thousand more years of steady expansion they would truly rule the entire Galaxy, just as the Gods intended. And then they had hit the border of the Klavarta, as they called themselves. There was still debate as to whether there were other species in their Empire, which stretched two thousand light years along the Sagittarian and Perseus arms. So far no others had been found, though there was some intelligence that another species actually ruled their Empire, hints gleaned from captives who were otherwise noncompliant to any known interrogation technique. The unusual thing about that border region, for two hundred light years up to the first Klavartan outpost, was their complete and total lack of intelligent life. One billion two hundred million cubic light years of emptiness as far as intelligence was concerned, an area of several hundred million stars. There were worlds with life, the same number as most regions the Ca’cadasans had already conquered. And there were ruins, everything from stone age encampments to supercities, all burned out. And skeletons, for those sophonts who possessed bony skeletal framework. The word had spread through the Ca’cadasan Empire and military. A terrible word. Genocide. The Cacada had totally wiped out three intelligent species in the history of the Empire. Really only two if truth be told. One was the communal mind creatures who had actually invaded and conquered the homeworld prior to the Empire. They had been sought out and destroyed in revenge for what they did to the people. The other was an advanced civilization that had stayed in their own system. That species had refused to surrender, and destroyed everything that tried to land on their planet. So the Cacada had been forced to bombard them with missiles moving at near relativistic speeds. Too many missiles had gotten through, and reduced the planet to total lifelessness, along with the intelligent beings that lived there. The only other species the Empire had exterminated were the humans, only it was thought some might have gotten away, and a small population was kept to be able to spy on them if they were found again. And then they had found more humans on the other side of the Empire. So even in that instance the Race had not committed genocide, a crime against the Gods according to their religion. They could subjugate other species, hold them in slavery for the good of the Empire. But future genocide, except in the one limited proscribed case, that of the humans, was forbidden. The imperative was changed with the discovery of those planets. It was no longer simply conquest and expansion. It was to find and punish the blasphemers who were destroying intelligent life. The Empire switched from slow expansion to a quick thrust by hundreds of small task groups into the Dead Zone, as it was called, looking for civilizations that might have survived, and for that which was killing off the intelligent species in the region. Scores of those task forces found what they were looking for, at least the second part. Those task forces disappeared without a trace, followed by more of them in the coming weeks, and the Empire knew it had a real war on its hands. Large groups, fleets of a thousand ships each, followed into the Zone, looking for an enemy, that now could not be found. It took a year of cautiously searching before the enemy struck again, and this time they attacked a force that was able to fight them off, at least enough to get away and warn the Empire what they faced. What they faced was a species that seemed to have been constructed for war. A species made up of a number of subspecies that were specialized in their function, performing their assigned tasks better than any of the Cacada. They fought in small ships, a hundred thousand tons or smaller, faster, more maneuverable, and what they lost in firepower they more than made up for in numbers. There always seemed to be more of them, and they fought to the end. Every, single, time. Retreat and surrender did not seem to be in their vocabulary. The few who had been captured had been injured too badly to resist, in vessels no longer capable of operation. For ten years the war raged on, without the Empire finding a single one of the Klavarta homeworlds, not even a base beyond some large stations orbiting gas giants in otherwise unimportant systems. Back and forth through the Dead Zone, until the Ca’cadasans finally broke into the space of the enemy Empire and encountered a Klavartan homeworld, or at least one that had a shitload of the aliens. After that it was ten years of back and forth into each other’s home territory. And then the last five years, when the Empire at first seemed to be winning the war, pushing back the enemy, until a massive enemy counter offensive pushed them back into their own space once again. Great news. I have been searching for anything approaching the Exodus universe and have had no luck finding it. Some come close, but none match you for consistency in the science and the well plotted military action. No rabbits pop out of hats to save the day and that lends a sense of suspense to the story. Your books read like you lived the action and you are writing your memoirs. Thank You for the most engaging series of books I have read since Asimov’s Robot and Foundation stories. Thank goodness for you Doug, your books are simply fantastic!!! This excerpt was a great tease for your upcoming release. Almost felt a little sorry for the caca’s. As always, I will wait patiently for your new release. Thanks. I’m hoping everyone will enjoy it. I enjoy the series vey much but one complaint I do have is that the books are not available on iBooks which is my preferred iOS any plans on selling them in iBooks store? If I get enough people asking for them, maybe. I have a lot of borrows on books 1-6 thought Kindle Unlimited and KOLL, which not only brings in income, but new readers. I would have to give that up to put them on any other platforms. That still might be a possibility.